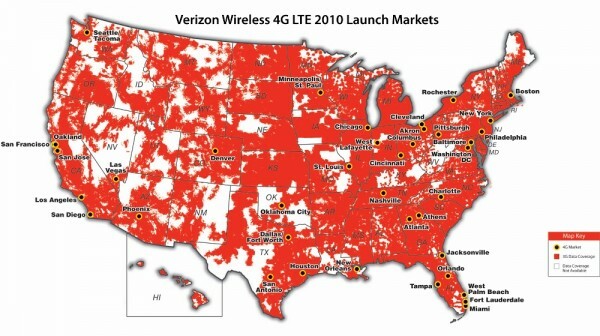 This morning Verizon Wireless announced their expansion into the 4G Long Term Evolution (LTE) realm. It’s an important move since competitors such as Sprint have already taken the first steps into their own WiMax-based 4G network, which is now available in nearly 50 market markets. 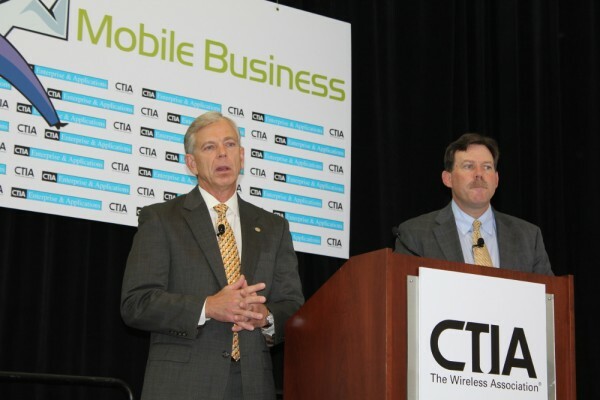 Lowell McAdam, CEO of Verizon Wireless, announced that 38 metropolitan areas will cover nearly 110 million Americans by the end of this year. The company’s 4G LTE networks will also extend to over 60 airports across the country. To offer a competitive edge over ClearWire’s WiMax, Verizon’s 4G LTE will offer download rates of 5-12 Mbps and upload rates of 2-5Mbps. Their upcoming devices will run on the 700MHz spectrum deployed in the United States. In addition to the 38 LTE cities coming this year, Verizon Wireless is experimenting their technology with Perdue University. The company is making 4G available to the entire West Lafayette campus. They are working closely with the college to build applications and technologies that can run better utilize high-speed 4G networks. According to McAdam, Verizon’s 4G LTE speeds will reach nearly 200 million customers 18 months from today. And by the end of 2013, he expects 4G to become available in all areas that currently has 3G coverage. Since Verizon currently still lacks coverage in many rural areas despite being the largest network in the country, McAdam revealed plans to expand into those areas. He said conversations with about 200 small cellular carriers across the country have begun. Verizon will offer those small providers access to the 700 MHz spectrum in exchange for building a network infrastructure for them. They’ll also make roaming agreements to let more consumers have signal in those areas. Unfortunately, Verizon didn’t announce any upcoming consumer devices just yet. McAdam stated that all device announcements would be made at CES. (He’s also taking the stage at the official CES keynote, likely with a major announcement.) However, as for the category of devices, McAdam stated that the first ones would be USB modems followed by handsets, tablets, and MiFi gadgets. Those familiar with McAdam’s comments from earlier this year won’t be surprised with what he said today. Unlimited is likely not going to be a viable solution in the 4G LTE market according to him. He claims that it is because the spectrum is heavily limited. Pricing plans will likely be pay-as-you-go for “buckets” worth of data at a time. A reporter asked whether it’s happening. Obligatory. As expected, he refused to make a comment. However he did say that both Apple’s and Verizon’s interests should align eventually. He claimed that iPhones and the iPad on LTE should be a possibility at some point, but didn’t comment any further. While Sprint allows simultaneous voice and data connections on their WiMax network, Verizon’s 4G LTE won’t support it. According to McAdam, their infrastructure will be data-only in most areas. They aren’t building a traditional voice service on the new spectrum. However, he claims that VoIP calls over data connections won’t be an issue. Another Verizon Wireless spokesperson clarified that since their upcoming devices are 3G and 4G enabled, voice calls would happen on 3G and data transfers would happen on 4G.